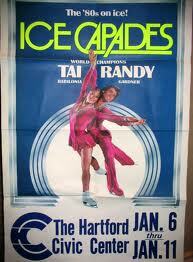 The Ice Capades Show is a regular customer for Kleinert's Underarm Dress Shields. They buy these to protect their expensive costumes and to prevent sweat wet-through, sweat staining and odors that can deteriorate their fine costumes. Kleinert's helps make their magnificient show that much greater!